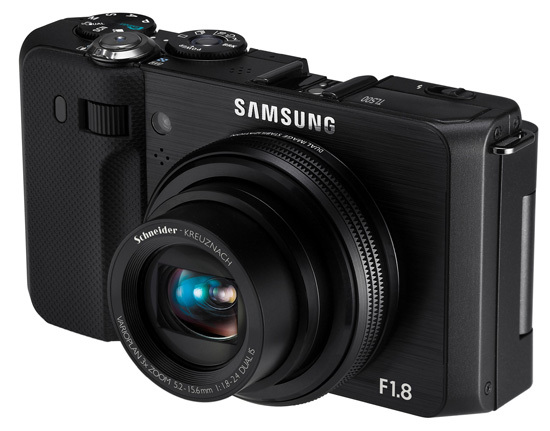 Samsung has put together a worthy competitor in the "compact prosumer" category. It offers image quality and High ISO performance that is matched by few cameras of the same size, however you pay a hefty price for these performance results and features. Read more in our Full Conclusion. Samsung's latest TL-series powerhouse, the TL500 (aka the EX1 in Europe) is an advanced camera aimed towards photo enthusiasts that demand high-end features and control in their digital cameras. Offering a very professional fit and feel, the TL500 is packed with an impressive list of specifications, including a 1/1.7" 10-megapixel CCD image sensor, ultra bright f/1.8 3x optical zoom lens with wide viewing angle of 24mm, 3.0-inch rotating AMOLED display, RAW and JPEG image capture options, Dual image stabilization, DRIMe III image processor, VGA video recording, Smart Auto and various other advanced exposure control options. The TL500 boasts the tools needed to help you be creative with your photography, all the while being enclosed in a rugged compact frame that features a mostly metal construction.